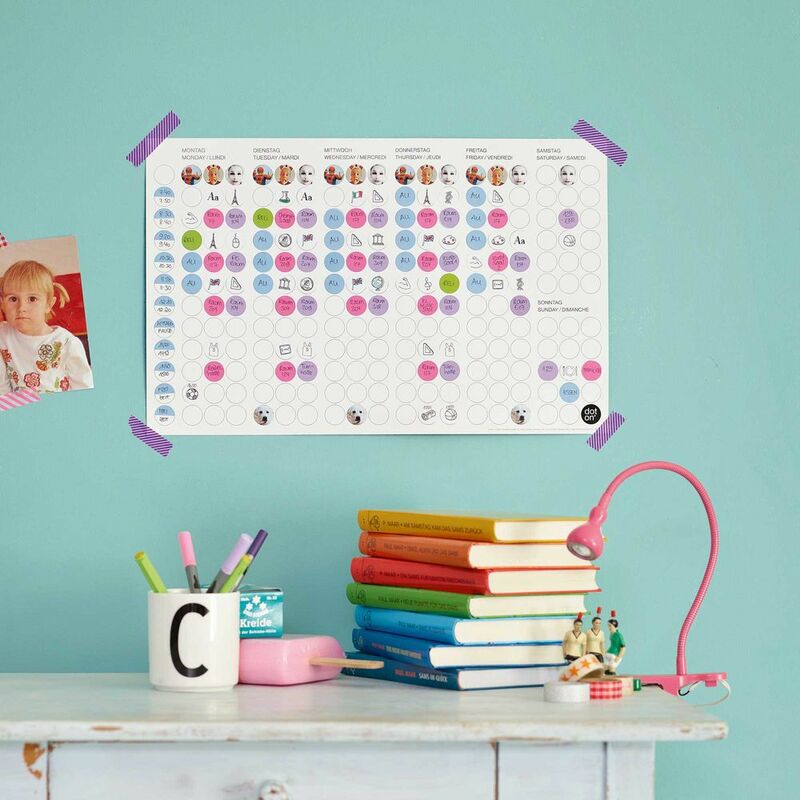 From timetables through chore assigning to office organisers, every week comes with its many appointments and tasks. To combat this, a sturdy piece of paper was born: the new week planner. 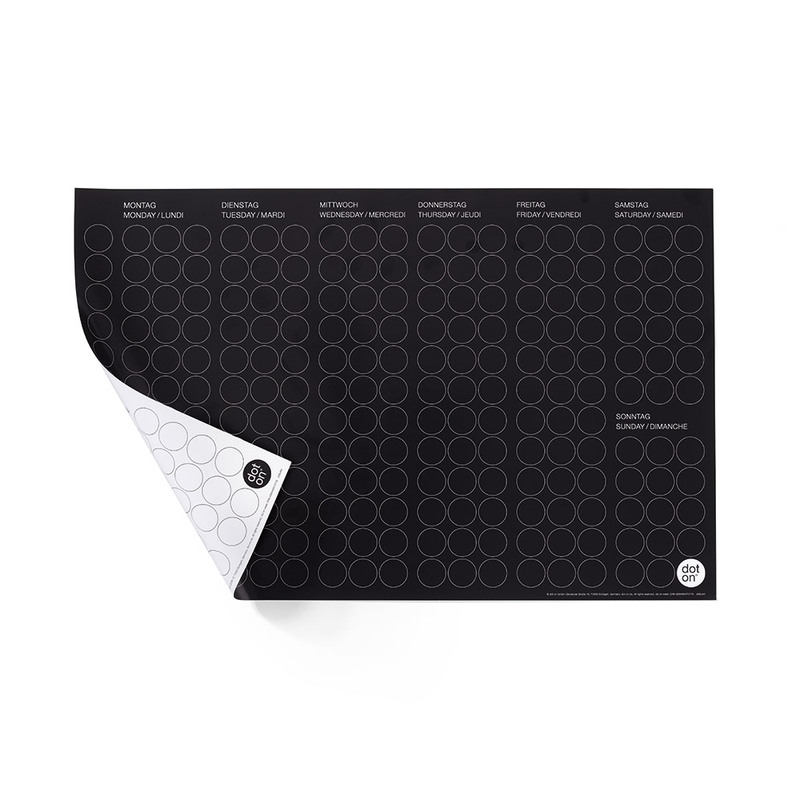 This weekly scheduler is a clever companion with a black and a white side. 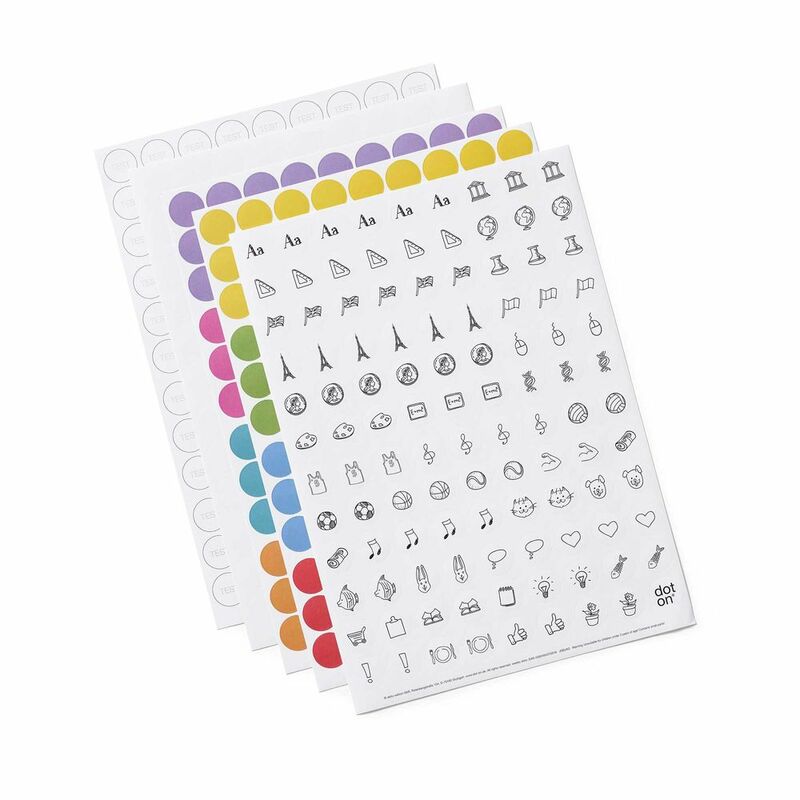 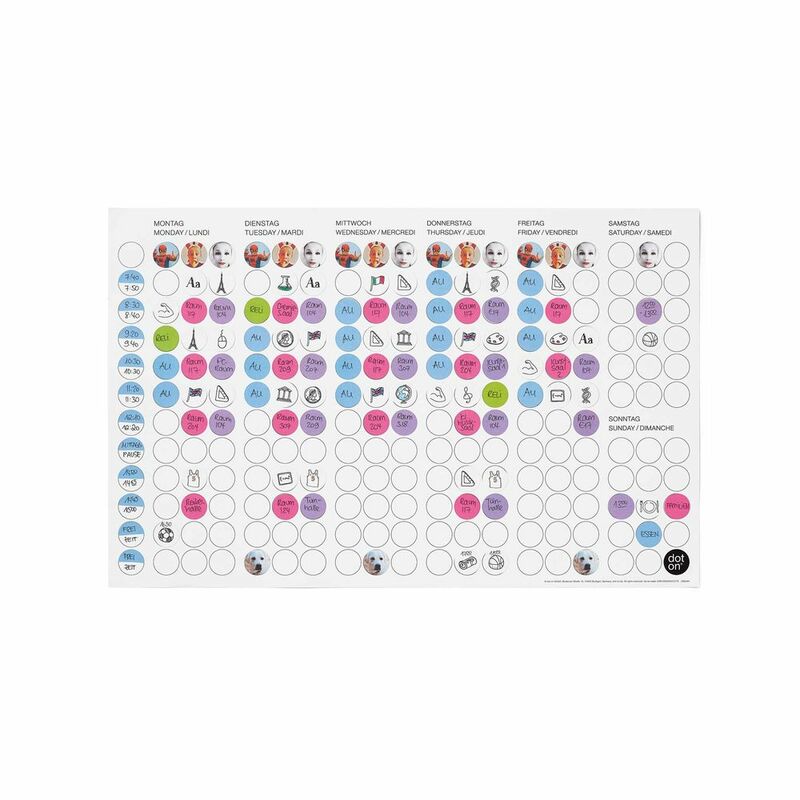 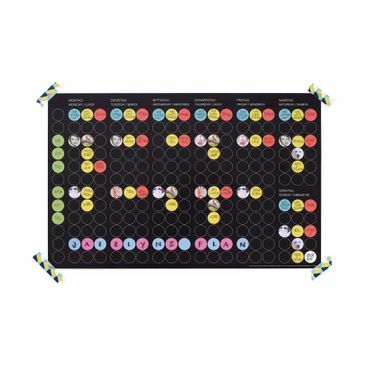 Grab your colourful sticky dots, start writing and never forget your appointments or to dos. 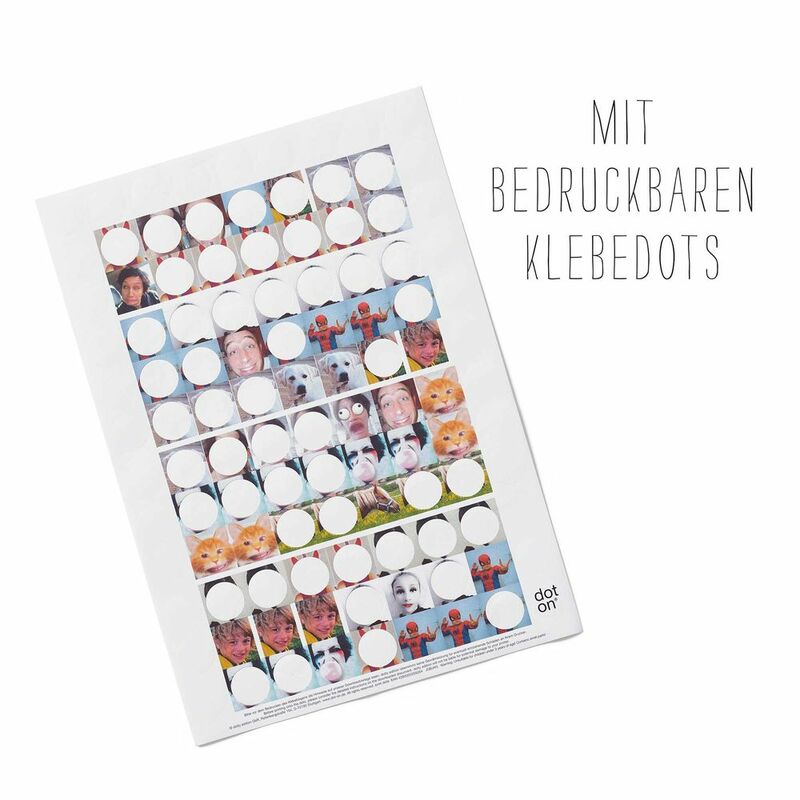 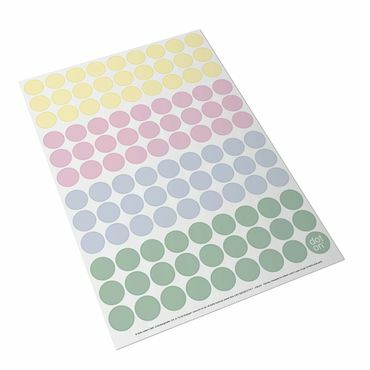 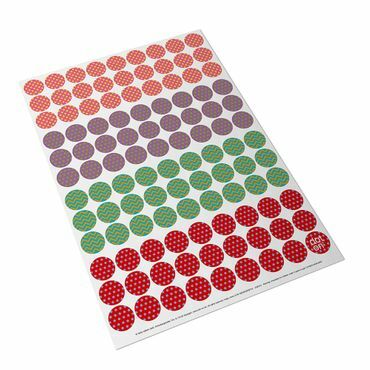 The set includes a sheet of white, printable dots so you can add drawings or photos of your loved ones to them.